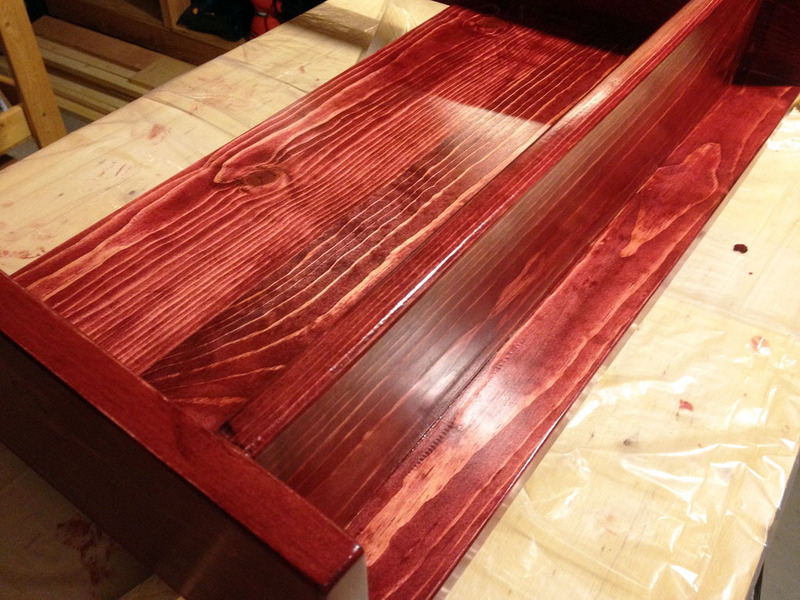 The fourth and final coat of poly is done! 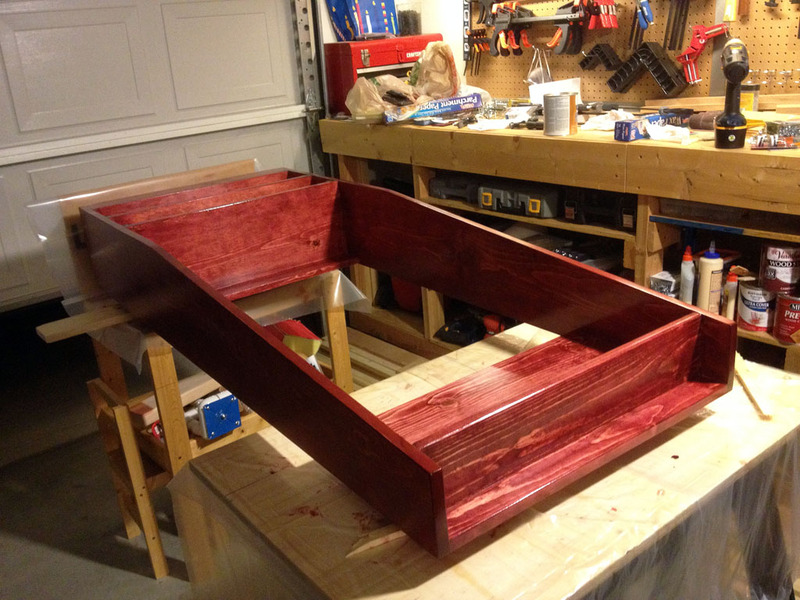 I am going to let it cure out in the garage for a couple of days and then rub out the finish and install it on Sunday. I smoothed out one of my tester boards with steel wool last night and then applied some paste wax and it turned out great. My original plan was to screw the hall tree to the wall next to the front door but my wife wants to be able to move it for cleaning so I am going to do some testing with cleats. I don’t want to actually hang the thing from the wall, just secure it enough to make sure it’s not going to fall on the 2 year old. I am going to try making a french cleat and also make some rabbits in a couple of boards and see if I can get them to interlock the way I want to. I only applied the 4th coat to the outside parts. 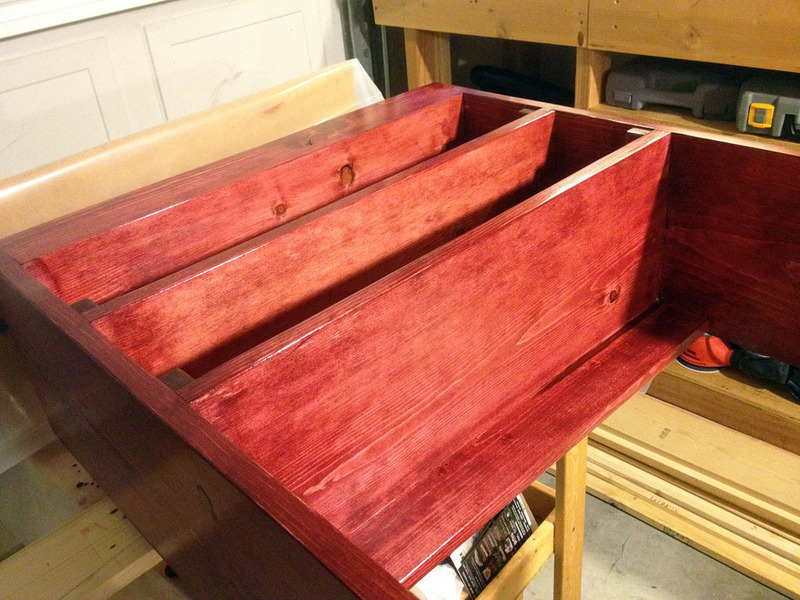 I left the insides of the bottom shelves with just the 3 coats. I just remembered that I haven’t bought the hooks yet. I may have to stop by Home Depot on the way home from work tonight. My plan is to have 3 hooks under the top shelf, one on each side near the top and then one on each side near the bottom at backpack height.